Villa Michelina, Legian 3 bedroom villa, outstanding value. 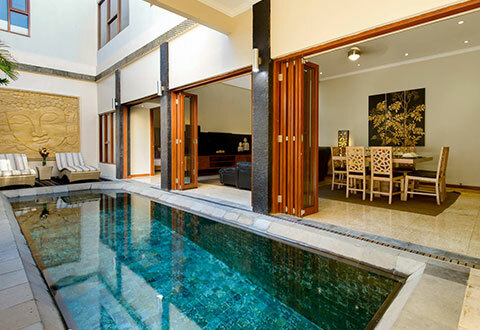 Tucked in to the hustle and bustle of busy Legian, Villa Michelina is an elegant, three bedroom private pool villa that’s ideal for small groups of friends or families. 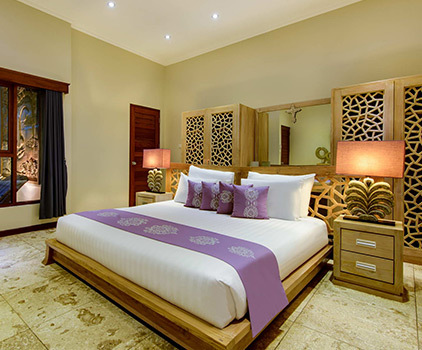 This boutique residence is just a short walk to Legian beach providing guests with an unbeatable location. There’s quick access to the high-end shops of Jalan Oberoi or the pumping restaurants, bars and spas of Bali’s busy center. The villa itself is newly built with a fully equipped kitchen that overlooks the plush dining area, and a gas fired BBQ by the private pool with its sun loungers and umbrella. 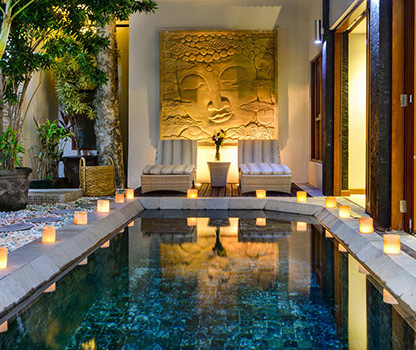 Spotless glass doors separate the living area with its giant television from the opal colored plunge pool and allow for a completely enclosed cool and comfortable Bali escape. There’s one master and one twin bedroom upstairs and a third room downstairs. Each is beautifully furnished and cared for by professional and hospitable staff members who are on call and ready to help you create a perfect holiday experience. The fully equipped modern kitchen is the central place for guests to interact over looking the main living/dining area and swimming pool. The private pool area also provides BBQ facilities and outdoor shower. The villa provides excellent modern amenities throughout and it’s design is very tasteful. 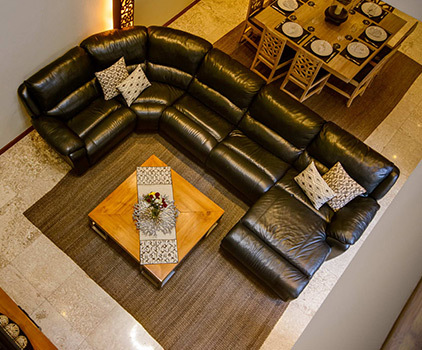 Entertainment includes, TV, Satellite TV, DVD player, CD player and Wi-Fi access.